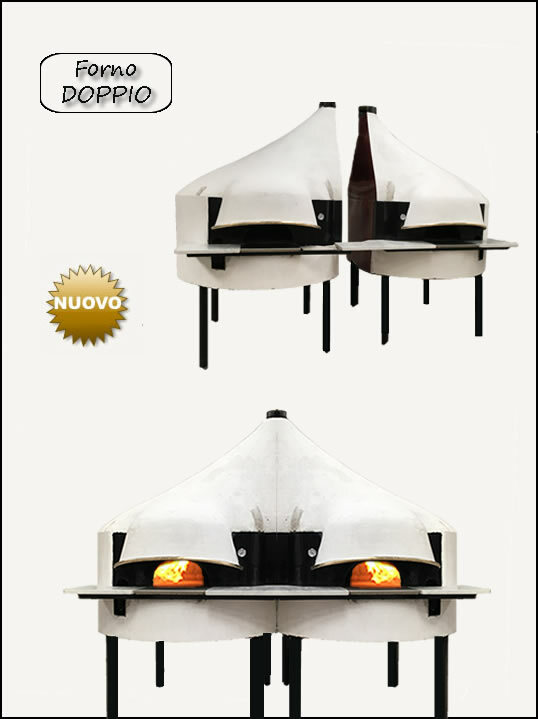 Try putting two ovens aside the other and then merge them into one body…you get the DOPPIO oven! Innovative with a unique design, The DOPPIO fails to bind two separate ovens (CLASSICO or COMBO) in a single body dealing with small spaces compared to the two individuals. 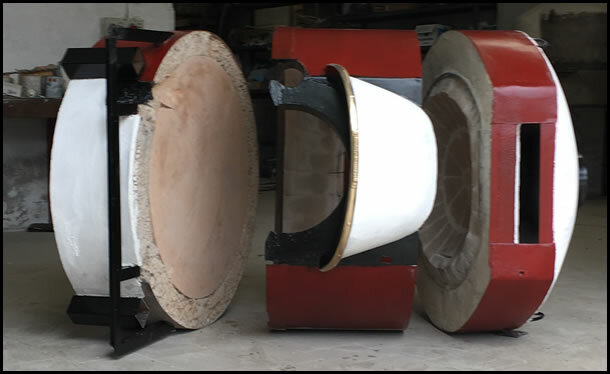 This allows larger volumes of cooking with high energy savings as they are two independent ovens of which the “other” is always immediately ready for operation if necessary. The DOPPIO is available in different sizes as well as the single ovens. The DOUBLE DECKER is the only oven in the world to actually have two ovens overlapped and with the openings rotate 90, 180 or 270 degrees. 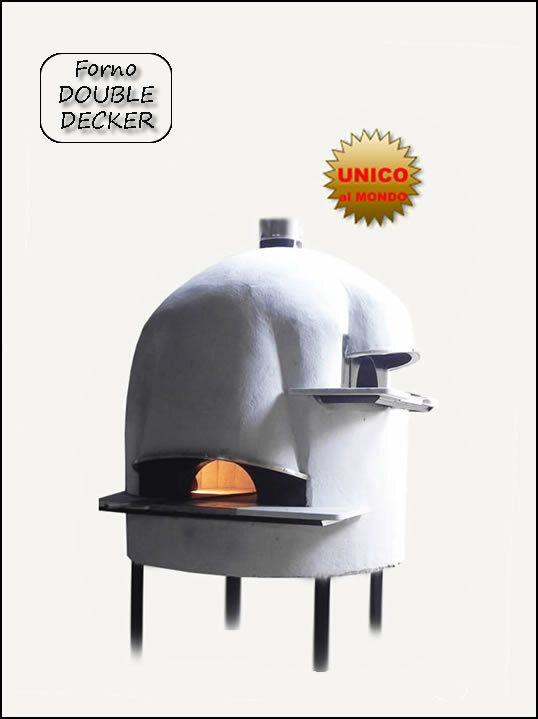 With its unique design, it allows you to have two ovens in the space of one and this ensures a very high thermal insulation thanks to its geometry. An interesting example of use would be to use the top oven for baking bread without power, but simply enjoying the heat of the oven on the first floor. In peak times then you can quickly turn the oven on top (which is already hot) and meet peak demands. The oven PRETTY is just a COMBO1 that, thanks to a masterful technique, will burst into three pieces allowing you to reach places that are prohibitive for ovens with similar characteristics.